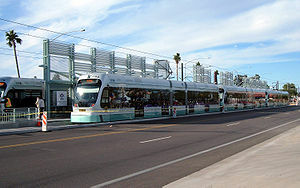 The Phoenix urban rail transportation system after the extension of the light rail line to Dunlap and 19th. Dunlap Av. / 19th Av. - Christown Mall – Uptown Phoenix (Central Av. / Camelback) – Cultural District (McDowell / Central Av.) 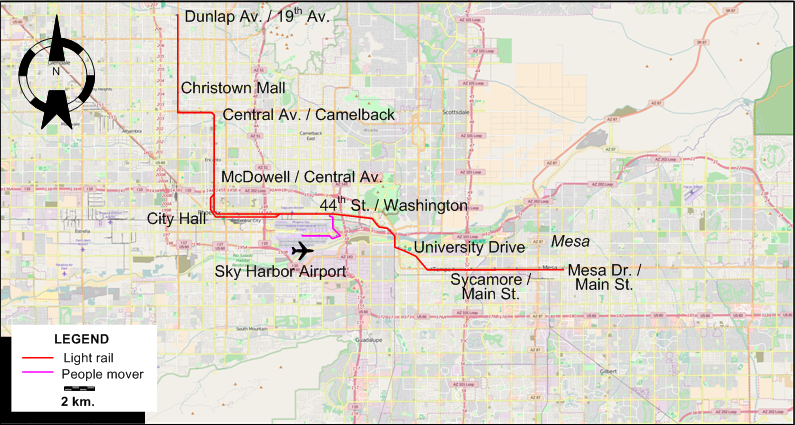 – City Hall (1st at Jefferson / Central at Washington) – Sky Harbor Airport (44th St. / Washington) – University Drive – Sycamore / Main St. - Mesa Dr. / Main St.
Light rail lines: 42 km. 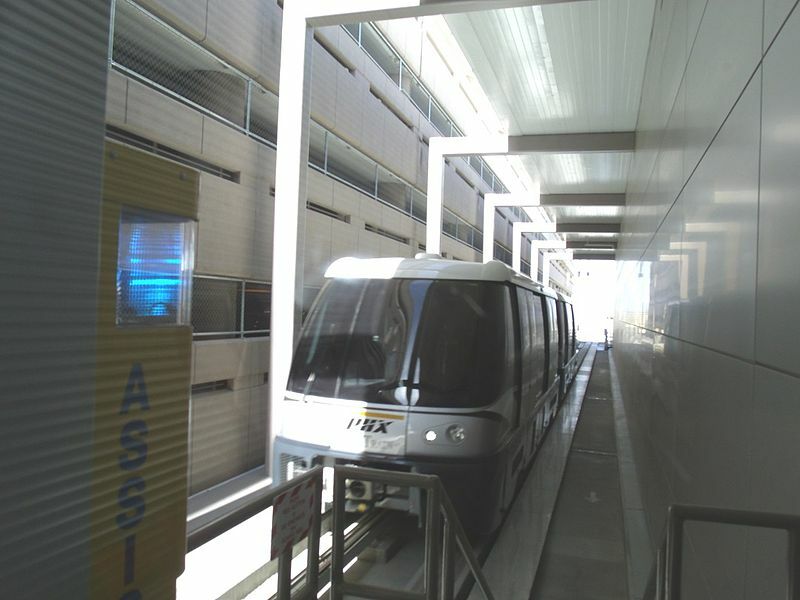 People mover system: 4 km.